The military trains people to be leaders. Veterans understand how to manage, motivate, inspire and delegate. They know the critical importance of staying with a task until it is done right. 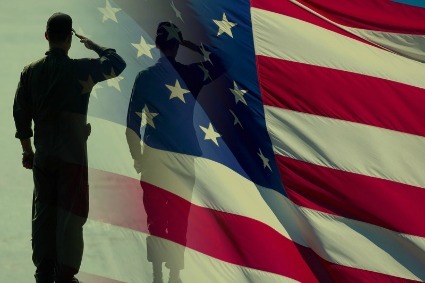 Veterans have been trained to analyze all the information before making a quick decision, therefore allowing them to make the best choice available at any given time. Military personnel have extensive training in personal development, collaboration and teamwork. Veterans are trained in engineered environments that target nothing but mission achievement. Veterans have the proven ability to learn new skills and concepts. In addition, they can enter your workforce with identifiable and transferable skills, proven in real-world situations. This background can enhance your organization’s productivity. Military personnel are trained to understand complicated mechanisms, procedures and advanced technology. They have many transferrable skills in the areas of cyber security, data analytics, business analysis, software engineering and project management. Veteran’s understand the meaning of hard work and how to follow orders. They are trained to work under pressure and to accomplish tasks on time. One of the most valuable qualifications that a transitioning servicemember can bring to an employer is an active security clearance. It typically takes between six months and two years for a person to receive a clearance. In addition, the clearance process often is very expensive. The U.S. Government’s Special Employer Incentives (SEI) program enables employers to hire a qualified veteran trainee at an apprenticeship wage. Employers are also reimbursed for up to half each veteran’s salary to cover certain supplies and equipment, additional instruction expenses and any loss in production. If you hire an eligible unemployed veteran, your business can take advantage of several tax incentives. The Work Opportunity Tax Credit (WOTC), Returning Heroes Tax Credit and Wounded Warriors Tax Credit can provide your company with annual incentives of up to $9,600. Hiring a veteran may be your next best hire! They are highly skilled, well-trained individuals who have excellent leadership skills and possess an unmatched work ethic. There’s no better way to say, “Thank You for Your Service”.